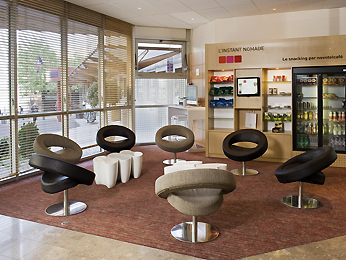 The 4-star Novotel Paris Centre Bercy is located opposite the AccorHotels Arena. The hotel is 8 min from the center of Paris and a 5-min walk from Gare de Lyon train station (metro lines 14 & 6). The hotel is also close to Gare de Bercy train station and Bercy Village making it ideal for both business trips and family vacations. It boasts air conditioning, free WIFI, a restaurant with terrace, Gourmet Bar, paying public car park and 6 conference rooms for professional meetings and family gatherings.